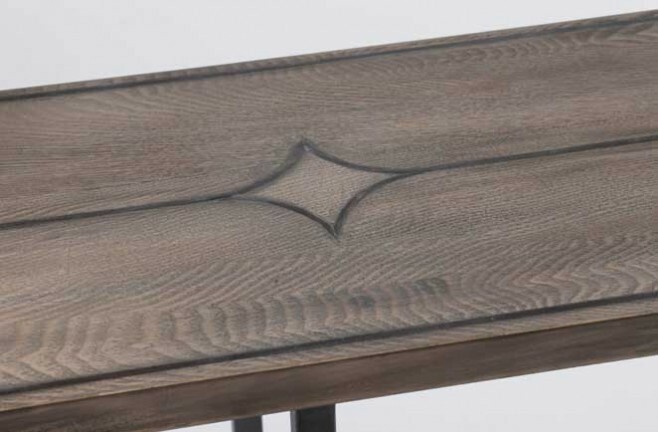 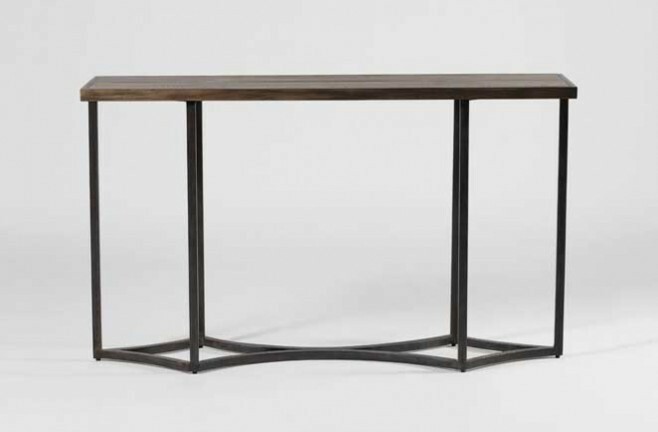 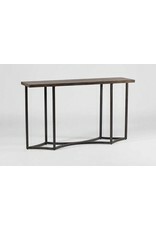 Adorned with an oak top, the Hudson Console table’s creates a unique and vintage twist on home decor. 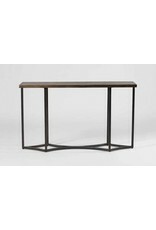 Two inlaid metal diamonds and border in the top mirror the geometric diamond pattern of the rusty black iron legs. 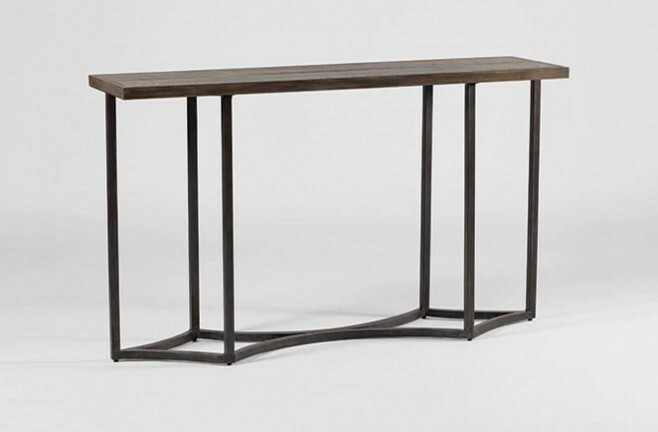 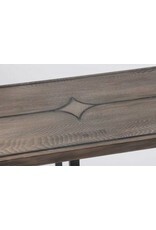 This transitional console table blends simplistic form with beautiful materials.